SFARI Director of Clinical Research Wendy Chung has been appointed as a public member of the Interagency Autism Coordinating Committee (IACC), a federal advisory committee composed of federal agency officials and appointed community stakeholders. The committee provides a forum for public input on issues related to autism. Chung was appointed along with Robert Ring, chief science officer of the science and advocacy organization Autism Speaks. “I am pleased to be appointed to the IACC and I believe communicating advances in our scientific and medical understanding of autism can help the Department of Health and Human Services better use their resources to the fullest extent possible to support individuals and families with autism,” says Chung. The IACC was created by Congress in 2009 to accelerate progress in autism research and services by advising the U.S. Department of Health and Human Services on activities related to autism, and by working in partnership with the autism community. The committee is composed of officials from many federal agencies involved in autism research and services, as well as people with autism, parents, advocates and other members of the autism community. Thomas Insel, chair of the IACC and director of the National Institute of Mental Health, welcomed the expertise and dedication that Chung and Ring bring to the IACC. “Both Dr. Ring and Dr. Chung will be important additions to the committee, given the depth of their scientific and clinical experience, and their dedication to improving the lives of people on the autism spectrum,” he says. 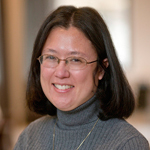 In addition to her role directing clinical research at SFARI, Chung is the Herbert Irving Associate Professor of Pediatrics and Medicine at Columbia University College of Physicians and Surgeons, and is the principal investigator for the Simons Foundation-funded Simons Variation in Individuals Project. She also served on SFARI’s scientific advisory board from 2007 to 2012. These two new members of the committee will serve for the remaining months of IACC activity under the Combating Autism Reauthorization Act of 2011, which expires September 30, 2014. If reauthorized, the IACC will be open for nominations of new public members in late 2014.